Mother’s Day is two weeks away. This will be my second Mother’s Day after having Gracie. 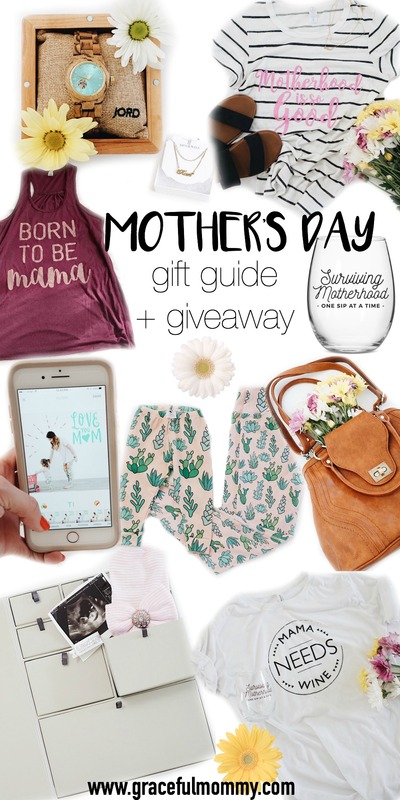 To celebrate, I wanted to come together with my favorite shops to bring you the best Mother’s Day gift guide. Share this with your hubby + family as a hint of what to get you (wink wink). 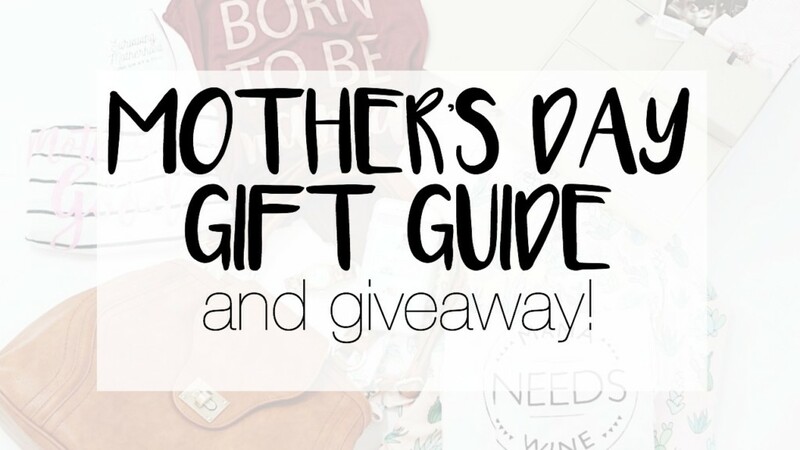 I’ve also teamed up with all of these shops to give one lucky winner THE BEST MOTHER’S DAY GIFT EVER. 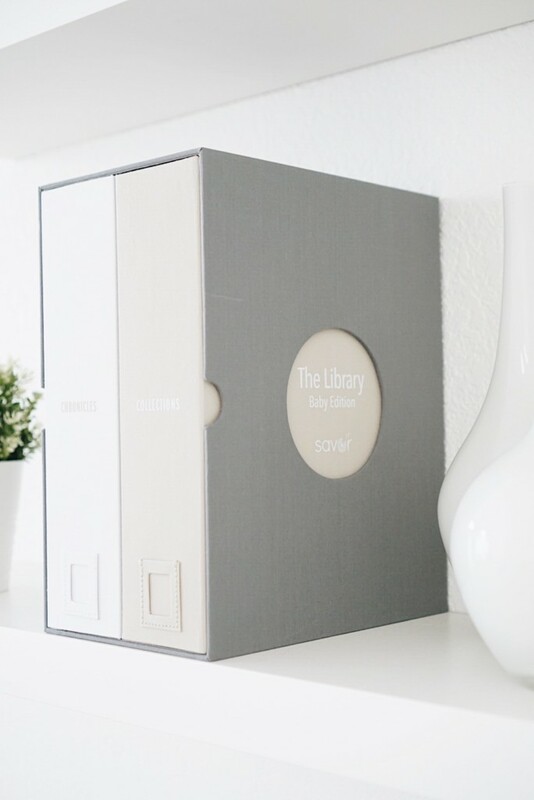 You could win shop credit from each shop, a baby keepsake library from Savor + more! Head to my instagram to enter. 1+ JORD WATCH. 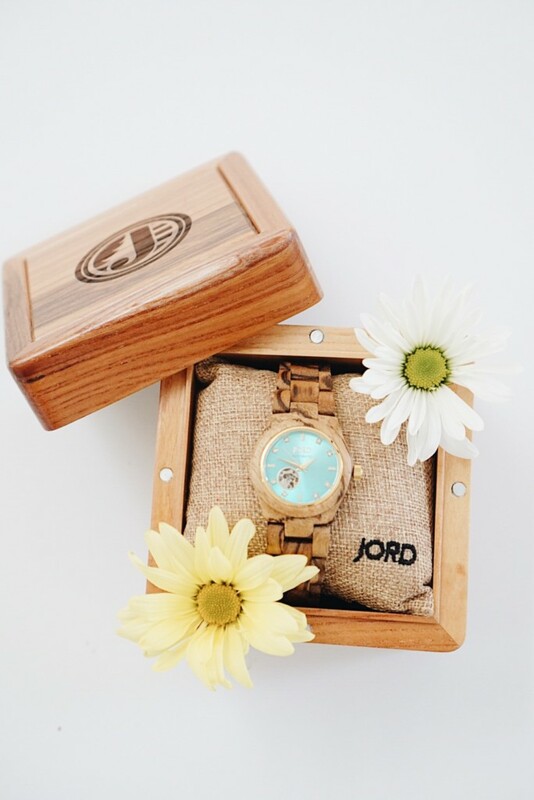 This wood watch is the perfect gift for a mom. It’s elegant but not TOO fancy. I wear mine all the time. It’s incredibly comfy, too! 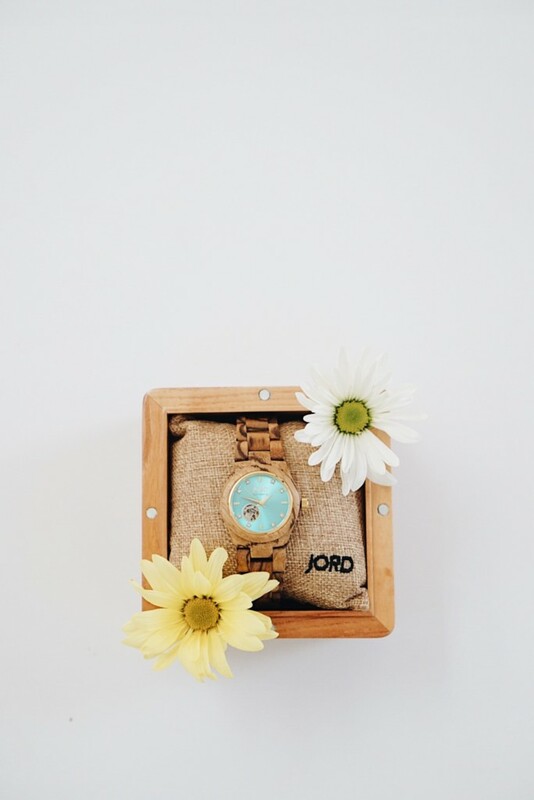 For Mother’s Day, JORD is offering FREE ENGRAVING on all women’s watches until the 14th. USE CODE gracefulmommy20ek for 20% off! 2+ JAYS + JEWELS NECKLACE. 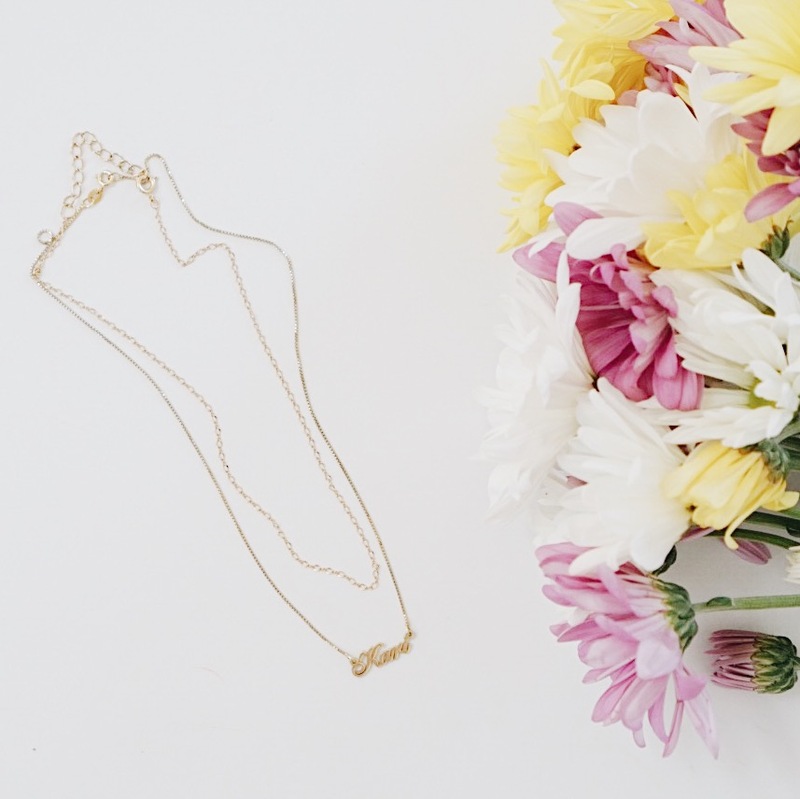 A personalized name script necklace is something any mom would LOVE! I have my name in gold and I wear it everyday! 3+ SWEETEES SHIRT. 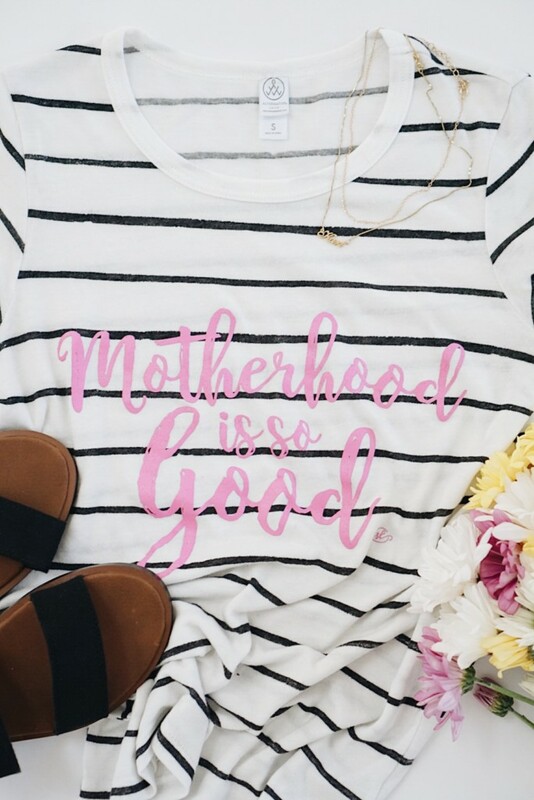 I have a few shirts from Sweetees, but my favorite is the Motherhood is so Good shirt. It’s extremely soft and I love the saying. Motherhood really is the best. 4+ FIVE SHOP TANK. 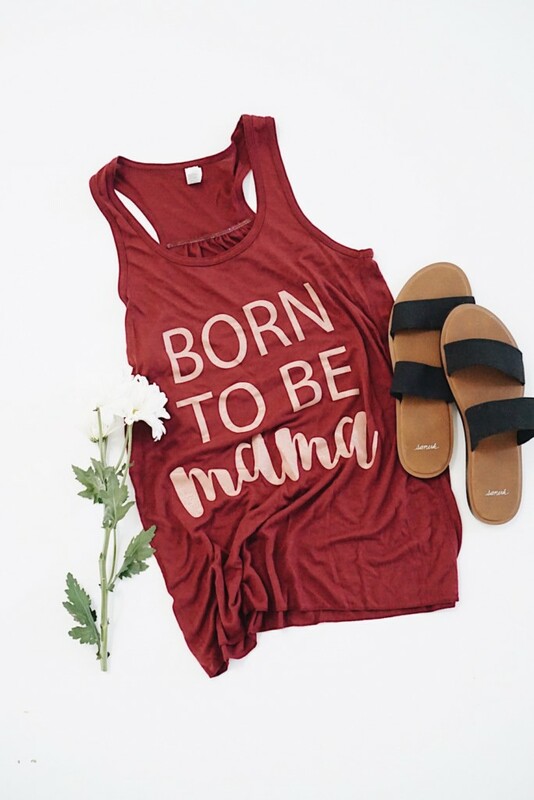 I love, love, love my Born To Be a Mama tank from Five Shop. Any mom would love to open this on Mother’s Day. And it’s the perfect, lightweight top for summer! 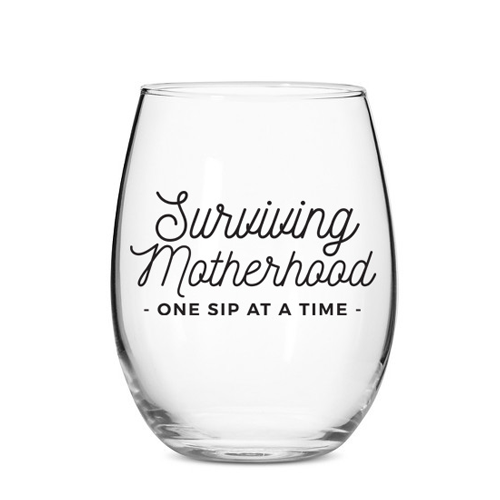 5+ SURVIVING MOTHERHOOD WINE GLASS. 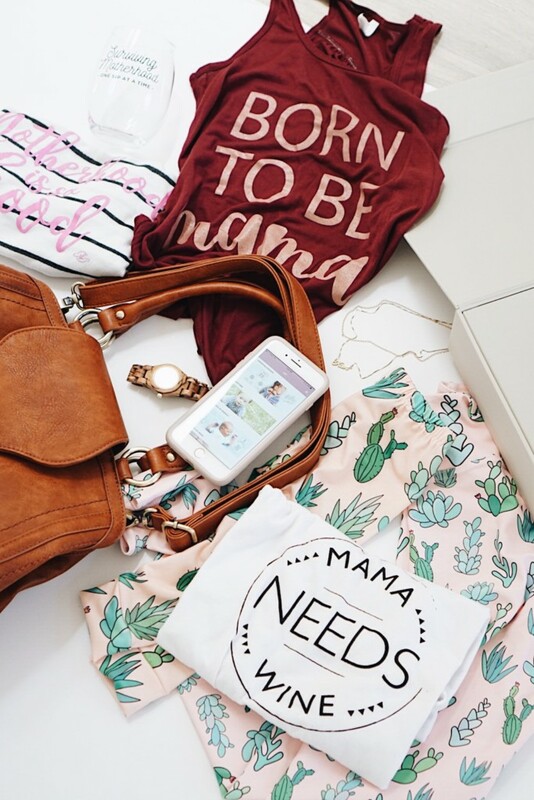 Mom Life Must Haves is an awesome shop that makes drinkware, apparel and so much more. 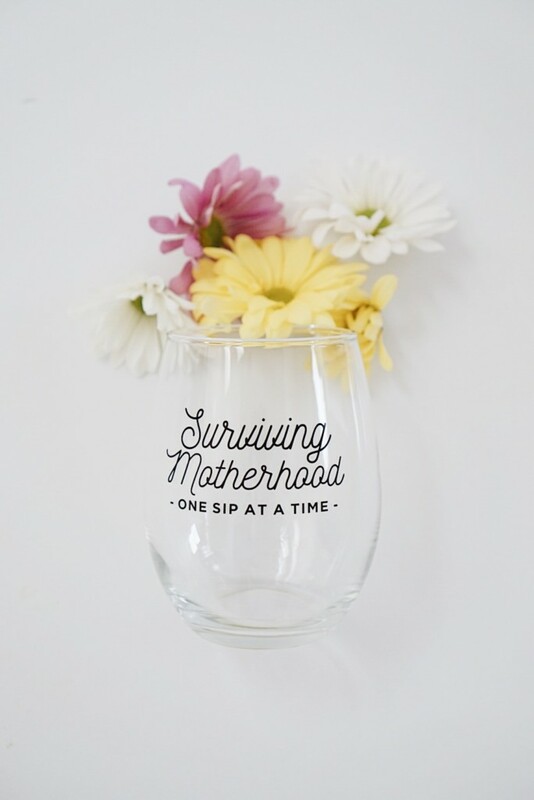 My favorite item in her shop for moms is her Surviving Motherhood wine glass. Such a perfect MOM gift! 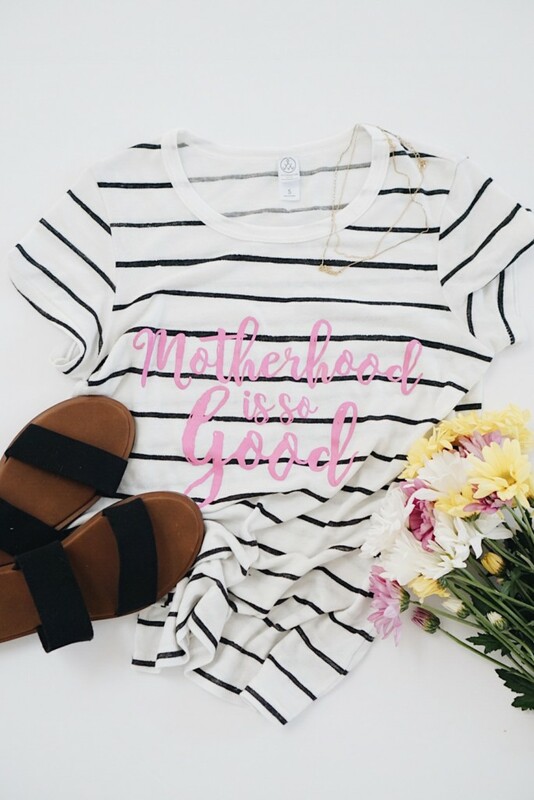 USE CODE: GracefulMommy for 15% off! 6+ LITTLE NUGGET APP. This app is THE BEST. It helps you capture those fleeting moments of childhood! 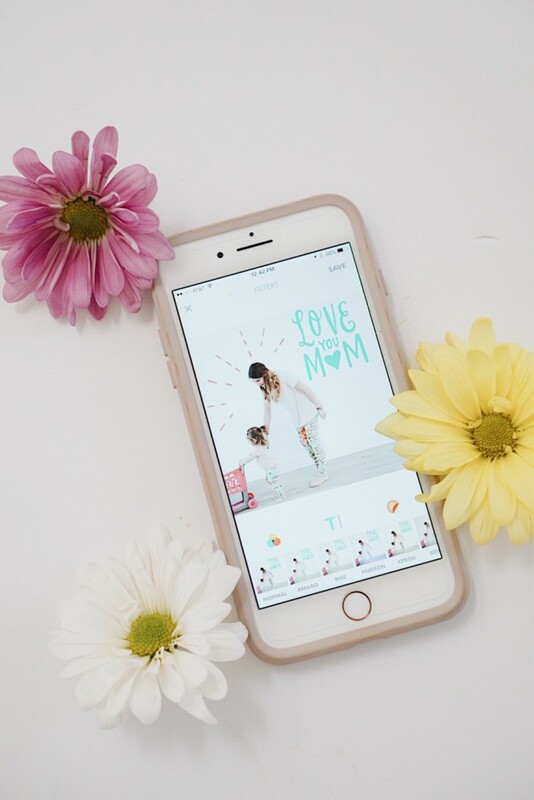 You can design photos with stickers + text and even get your designs printed from the app! 7+ BABALUS MOMMY + ME LEGGINGS. Babalus By Lucy is an amazing shop that is known for their handmade, high quality leggings. She has TONS of designs for both mama + baby. 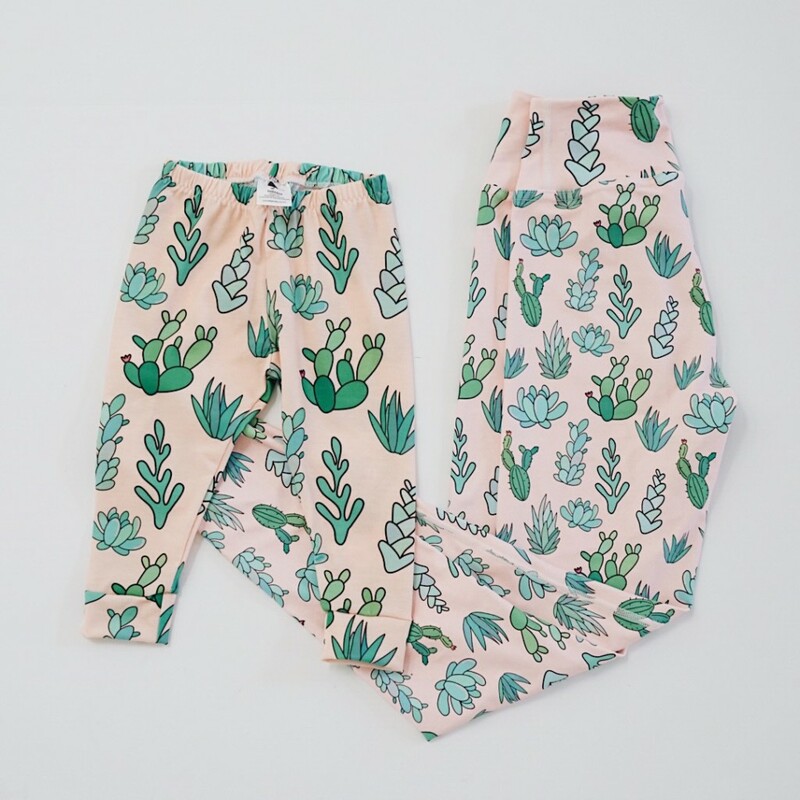 My current favorite print is the succulent print. So cute. 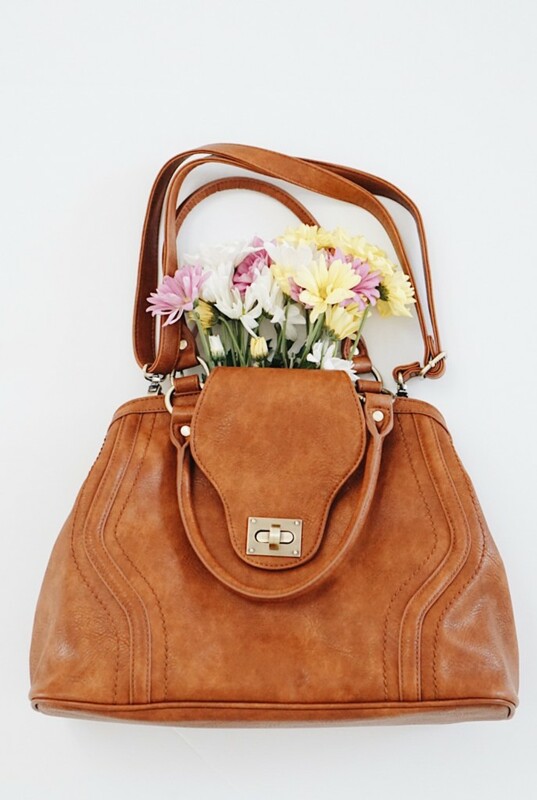 8+ Newlie Bag . Newlie Diaper Bags aren’t just for diapers; they’re for the toddler years too. 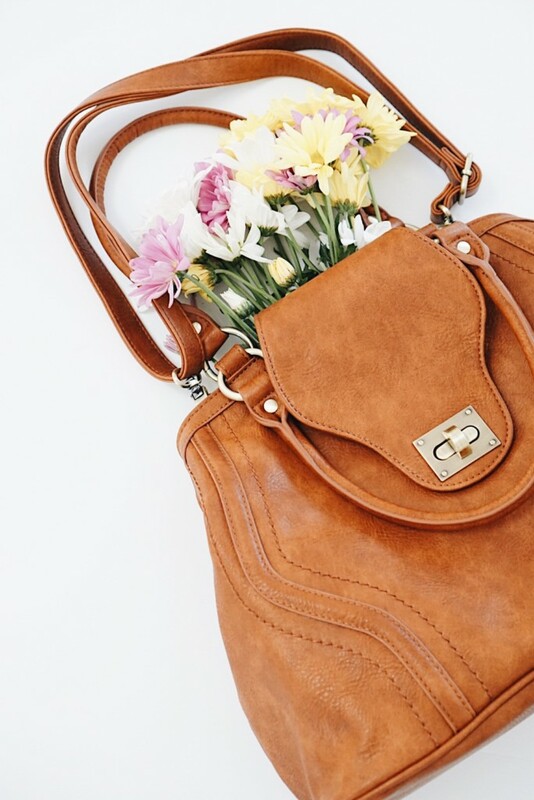 I’m in love with my bag. It’s got an insulated pocket that can be used for bottles + sippy cups. Tons of awesome pouches and features. And the straps are COMFY. I’m all about comfy straps! 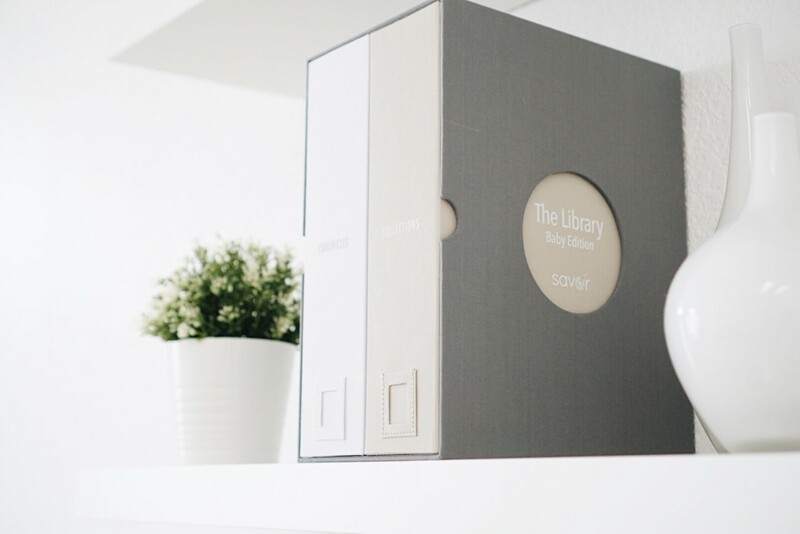 9+ SAVOR KEEPSAKE BOX. Gosh this product is GENIUS. I love it so much. 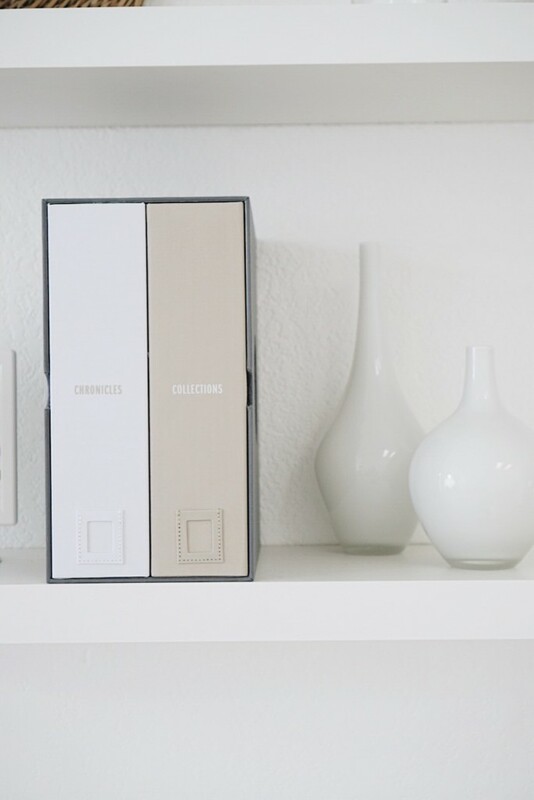 The system makes it so easy to organize and store all of those important childhood objects and memories. 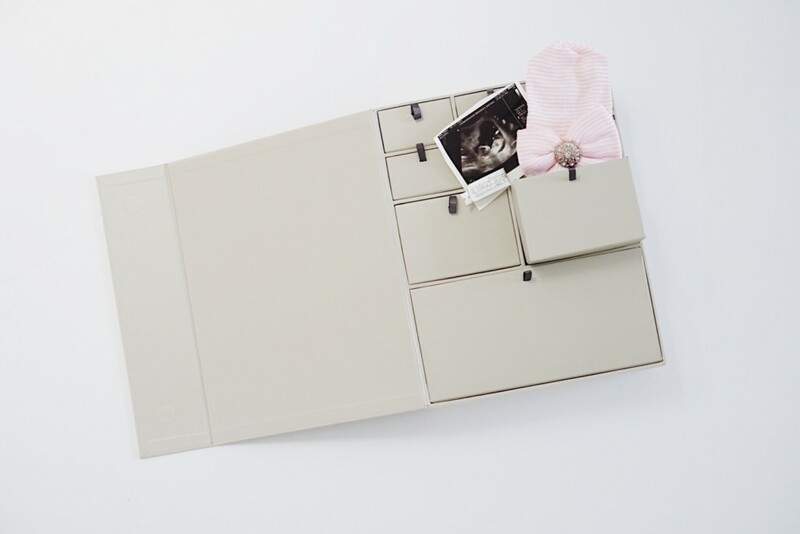 There are drawers to keep stuff in and vertical files for documents. It even comes with mini envelops for the first hair or first tooth. 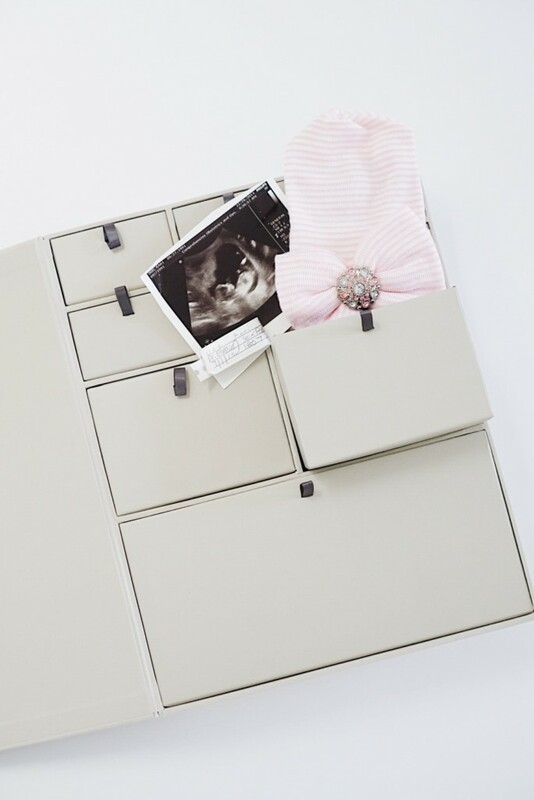 And tons of custom labels so you can make the keepsake box your own! Also, so much CUTER than everything shoved in a box in the attic. USE CODE: GRACEFUL20 for 20% off! 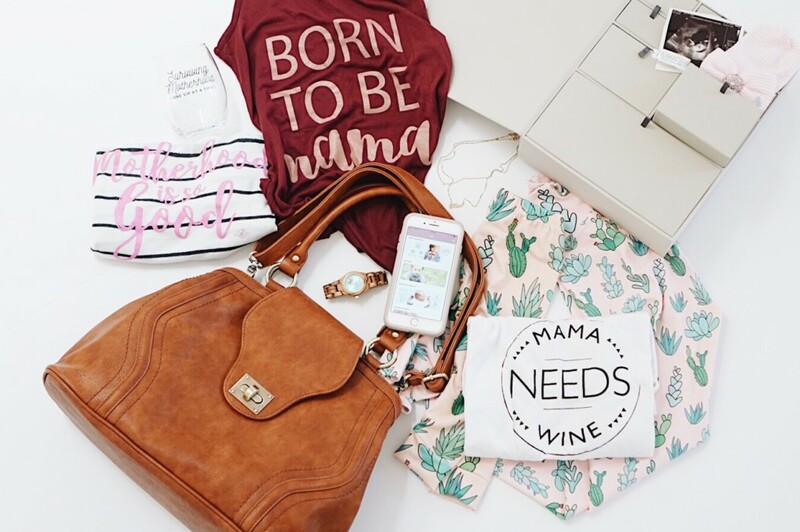 10+ MAMA NEEDS WINE SHIRT. 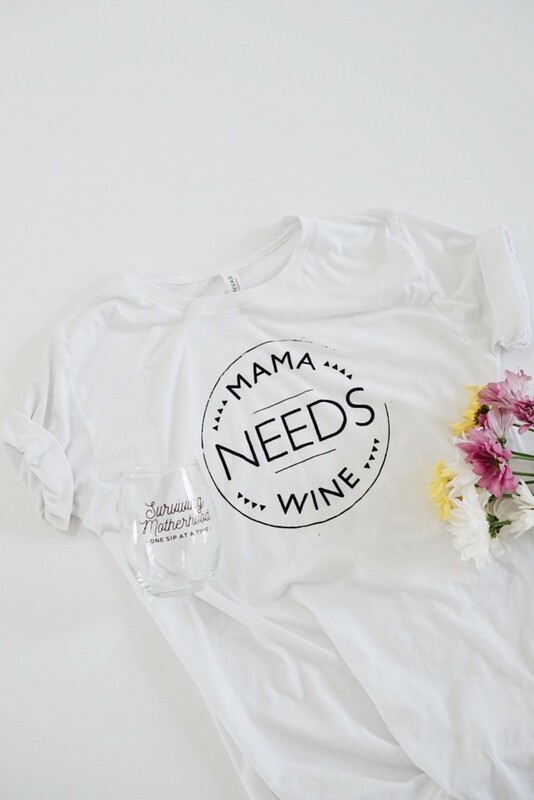 What mom doesn’t need this shirt (and wine). Bonus points if you get this shirt along with a nice bottle of wine. This shirt is so soft + the owner of the shop is awesome. Don’t forget ONE LUCKY winner will be winning prizes from each shop! 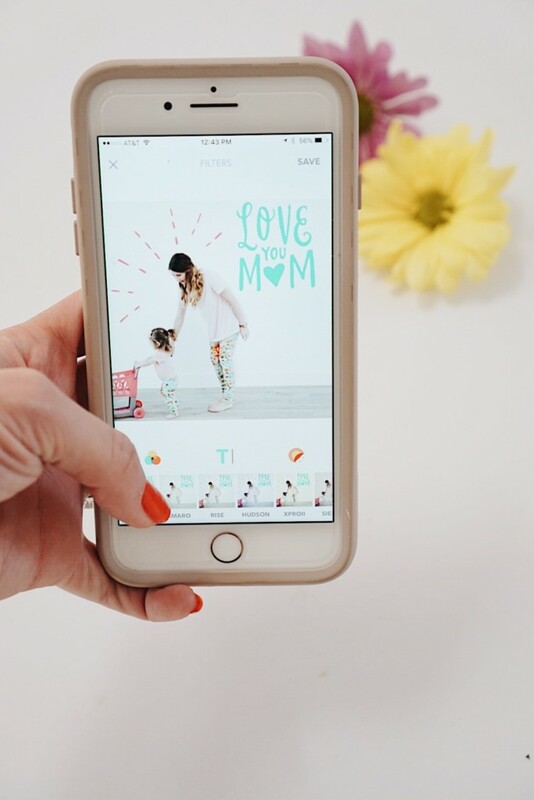 See all the Mother’s Day goodies in action below! Don’t forget to subscribe to my YOUTUBE channel :). Kari I clicked on “this” and it unsubscribed me !!!!! I didn’t know it was to unsubscribe —— NO! I want to be SUBCRIBED TO THIS BLOG!!!! I love you, your daughter, your mama and all the photos and products!!!!! Please re-subscribe me and believe it was just me being in too much of a hurry to see your blog and everything!!! I love you!!!!! !